Various urban design elements, such as activity nodes, landmarks, focal points, etc. were incorporated in the NDAs. These elements are linked up by a well-connected pedestrian and cycle track network and an open space system. The KTN and FLN NDAs are further characterised into nine and four different character areas respectively based on unique urban design themes. 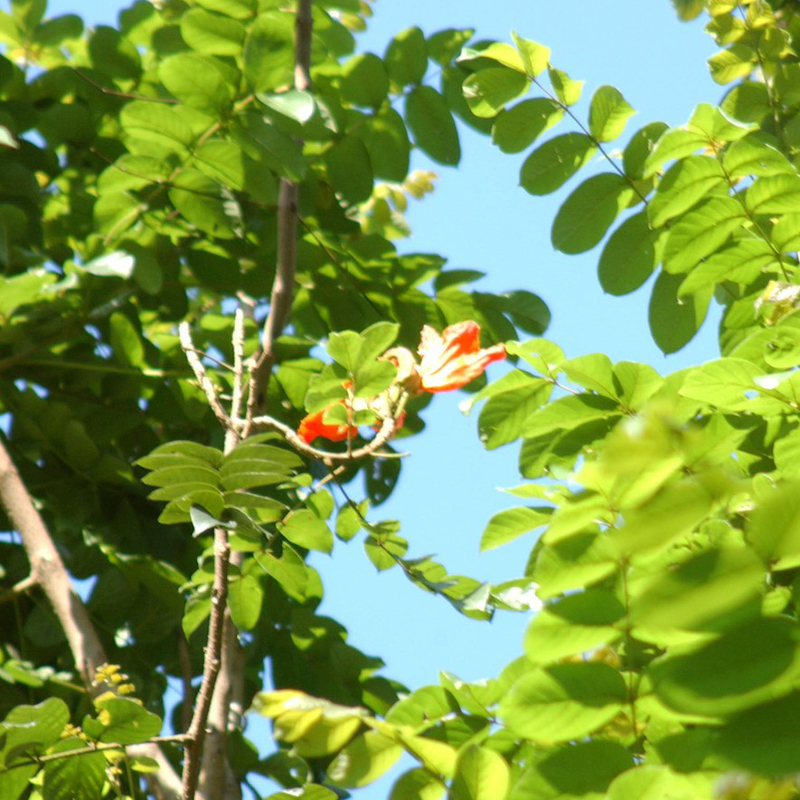 Preserving and enhancing the ecologically sensitive areas. The major objective of the landscape design principles is to preserve and enhance the landscape resources of the area to create a sense of community and uniqueness for the KTN and FLN NDAs. The landscape and open space design frameworks for the NDAs give emphasis to the creation of an inter-related and continuous landscape system which will link the existing landscape areas with the proposed open space network. In the KTN NDA, the proposed open space system, including the Town Plaza, Fung Kong Shan Park and riverside promenades, will be linked with the existing important landscape resources, such as Long Valley, Fung Kong Shan and Ho Sheung Heung Fung Shui Woodland. 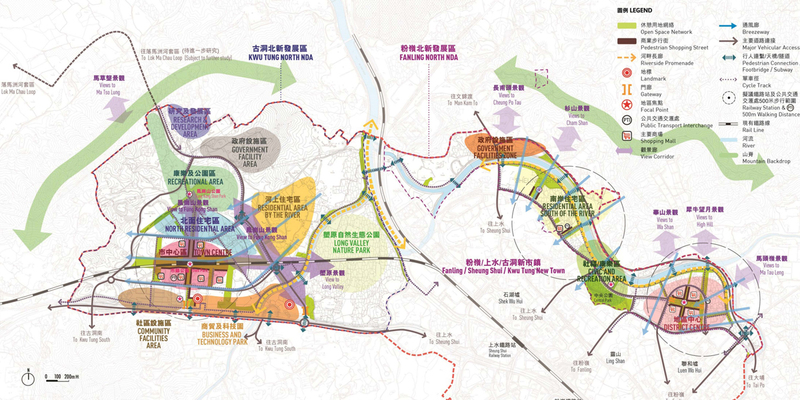 The proposed open space system in the FLN NDA, including the Central Park, district open space and riverside parks and promenade, will be linked with the existing important landscape resources and the existing open spaces of North District Park and North District Sports Ground in Fanling/ Sheung Shui New Town.